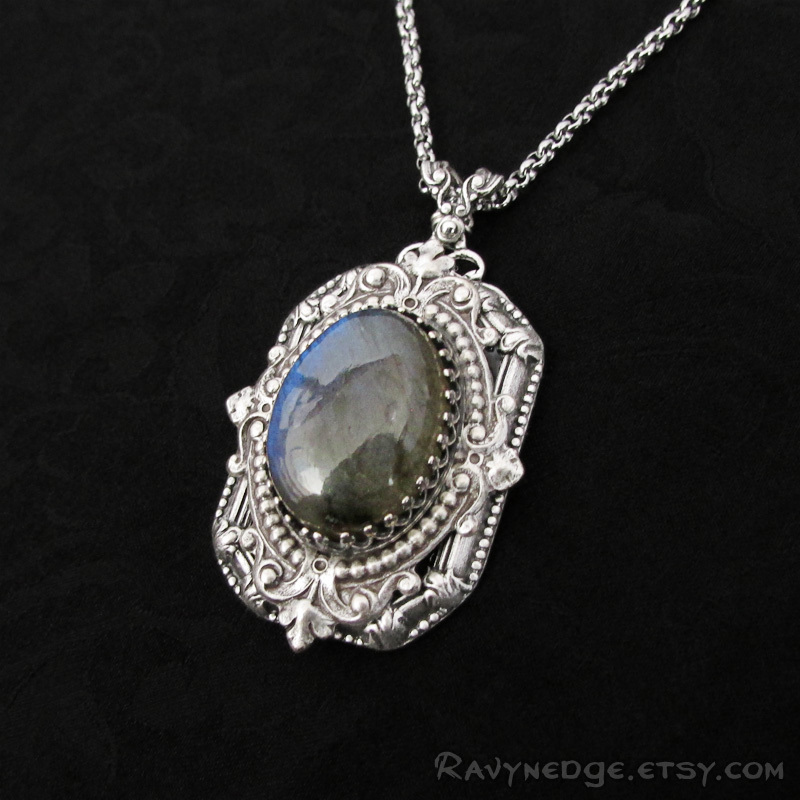 Royal Secrets Pendant - Gemstone and Silver Filigree Necklace by RavynEdge. "Royal Secrets" is as mysterious as it is elegant. 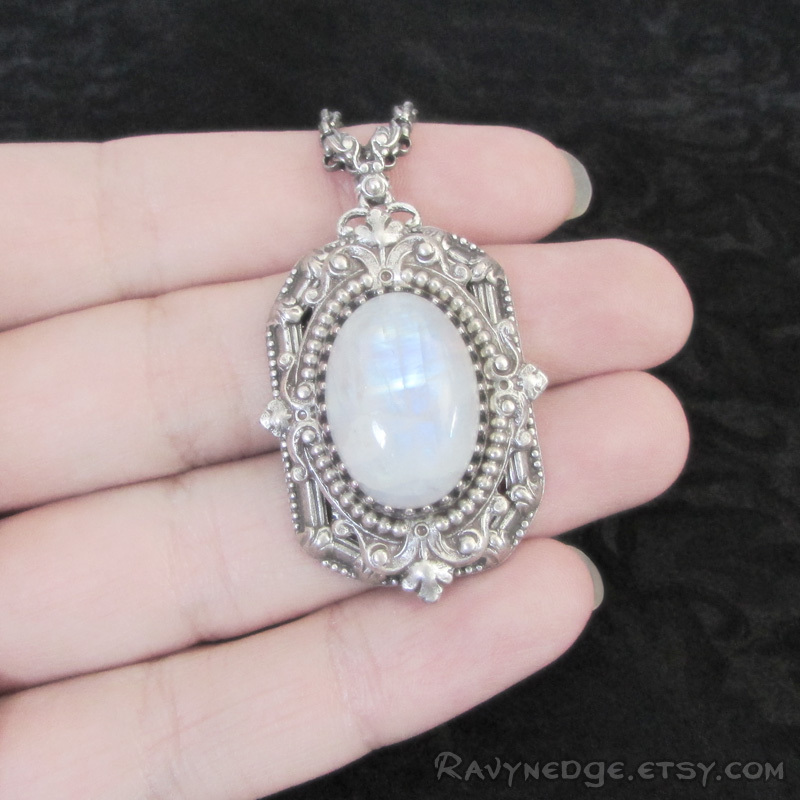 The setting resembles the ornate frame of a mirror, but in place of the usual surface there is a magical portal of natural gemstone reflecting flashes of color. 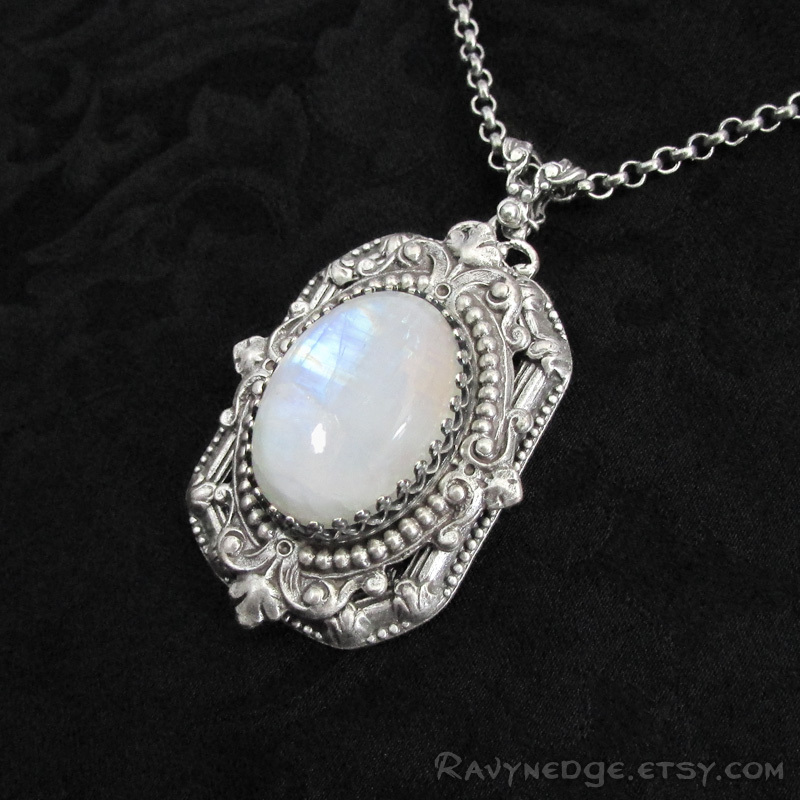 I created this pendant to be petite, yet glamorous. Makes a great layering piece. 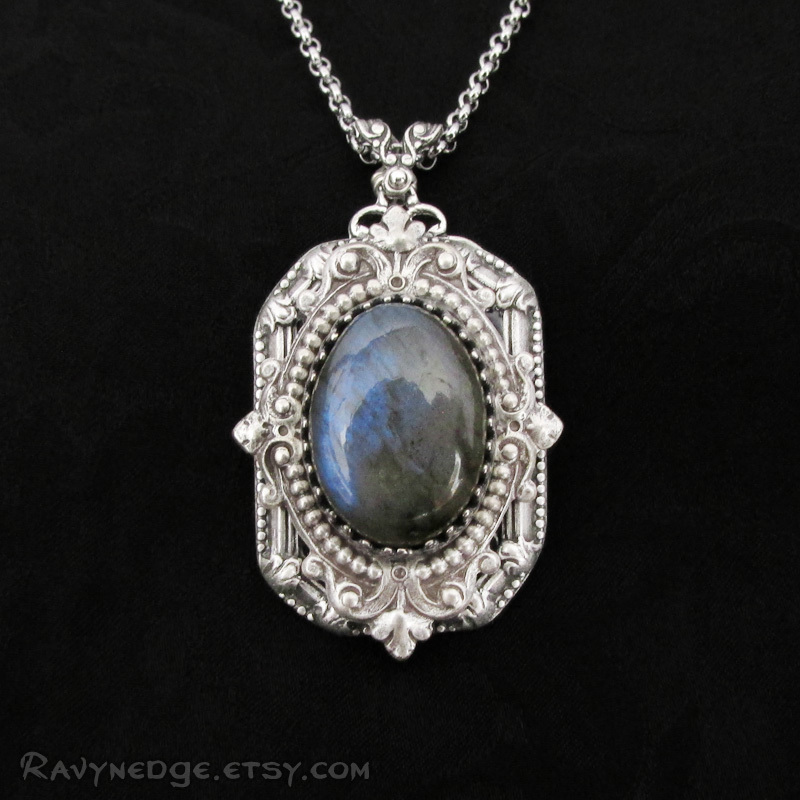 A natural stone cabochon is set in brass filigree plated with real sterling silver, oxidized to give that wonderfully romantic and gothic look with a vintage appeal. 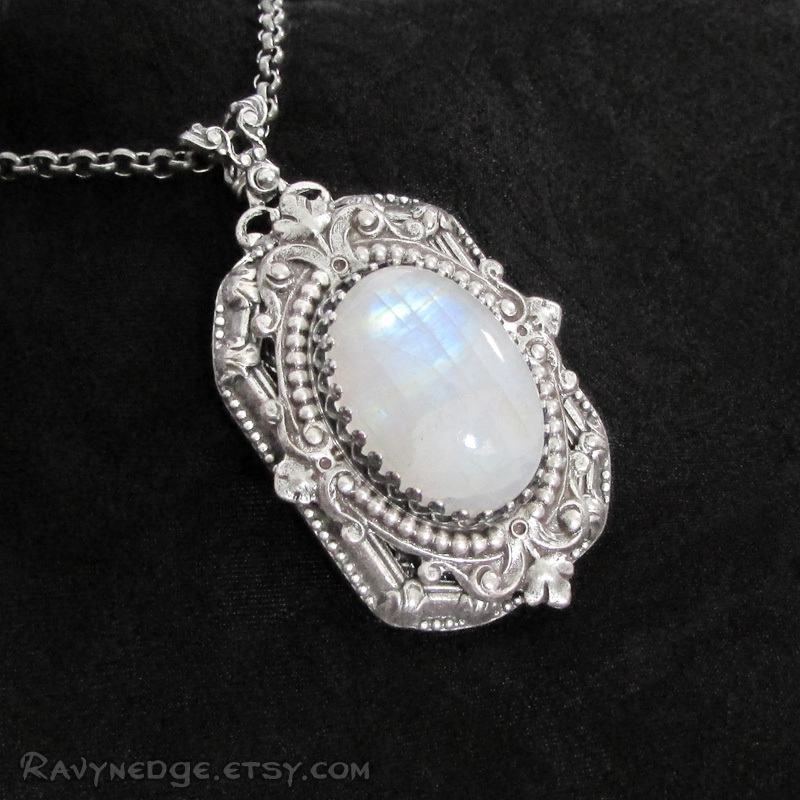 Shown with rainbow moonstone and labradorite. Can be made with other stones. Including the bail, the pendant measures 1.7 inches (4.3cm) tall and 1 inch (2.5cm) wide. Your choice of stainless steel or sterling silver chain. Please Note: The gemstones used in this necklace are natural stones. There may be color variations, inclusions, or imperfections within the stone, but that is what makes each one unique.